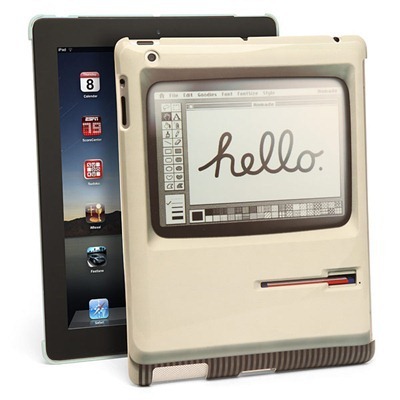 Here’s an iPad case that should have some strong appeal for those who have fond memories of old-school Macs. It’s called the Padintosh Case for iPad, it’s made by ThinkGeek, and it’s compatible with the iPad 2 and new third-gen iPad. This is a back cover iPad case that’s compatible with the iPad Smart Cover. The original Macintosh look even includes a floppy disc drive slot. Maximize your Mac geek cred! 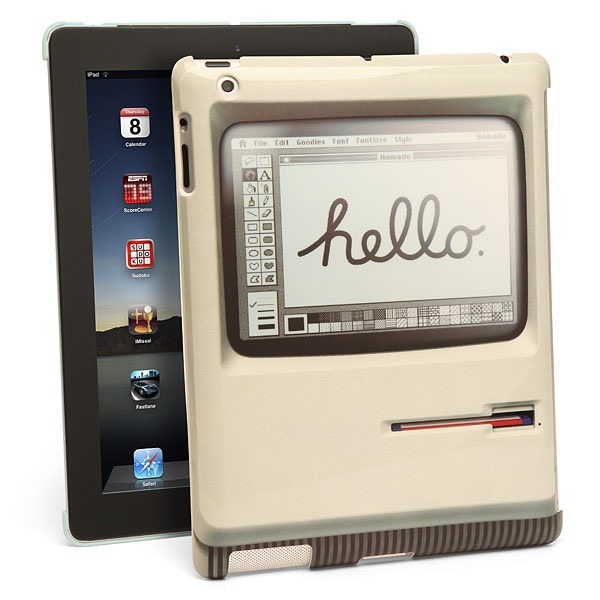 The Padintosh is priced at $24.99 and you can see more details or place an order at its ThinkGeek product page. I’ve ordered one this morning. Spotted via Steven Sande’s post at TUAW. This would be even more awesome if you could draw on the case screen with an app!